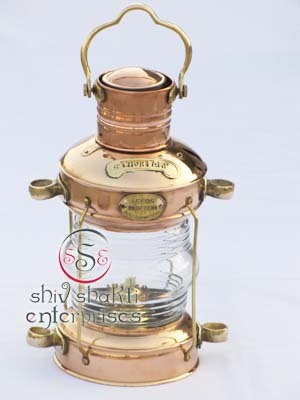 Beautiful Finish brass lantern is a perfect blend of utility along with ethnicity. 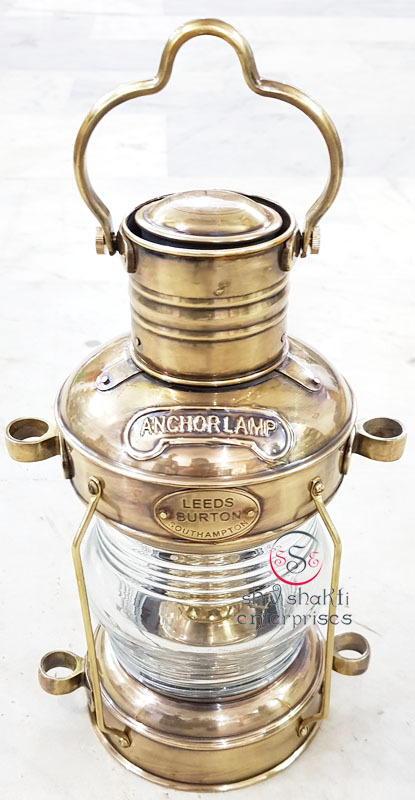 Our range of brass lantern is fabricated using high quality brass and is in high demand by our clients spread across the globe. We also meet customized requirement and offer them at industry leading prices. 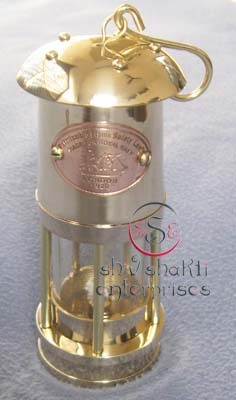 Miner's Lamp comes with a brass handle which allows the user to hang it from a hook. 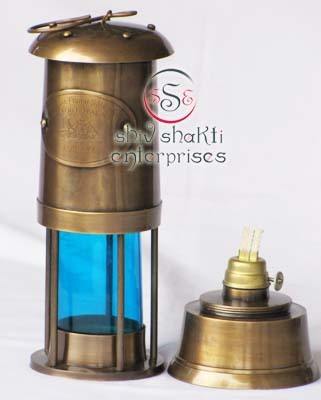 This can be used as a real oil lamp,as it includes a wick. 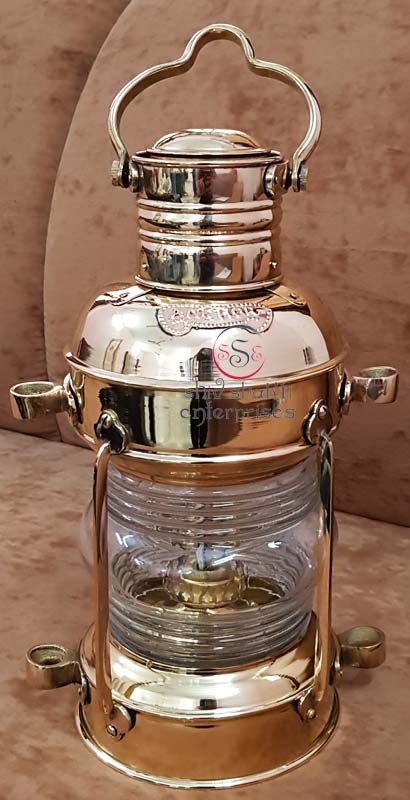 A handcrafted masterpiece polished to a brilliant shine, the brass miner’s lamp is fully functional, burning regular lamp oil. 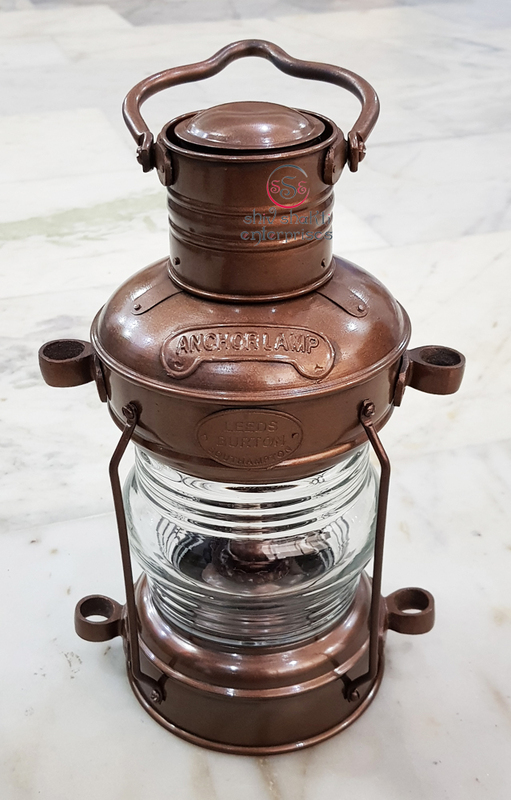 This Ships lamp / lantern is made of brass and copper with a clear fresnel lens glass. This lamp is fully functional with an oil burner.This is an excellent collectors piece of nautical decor. We also meet customized requirement and offer them at industry leading prices. Size:- Height With Hook - 13"